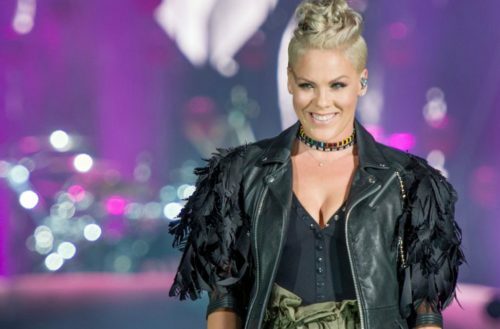 Pink just released the title track from her highly anticipated seventh studio album Beautiful Trauma. The entire album drops October 13. Fans who pre-order the album will receive the tracks “What About Us” and “Beautiful Trauma” instantly. “Beautiful Trauma” was written by Pink with Jack Antonoff and produced by Antonoff. In August, Pink received the Michael Jackson Video Vanguard Award at the 2017 Video Music Awards. During her acceptance speech, she told a powerful story about the importance of explaining to children that beauty comes in many different forms. On October 14, Pink is set to perform as the musical guest on Saturday Night Live.